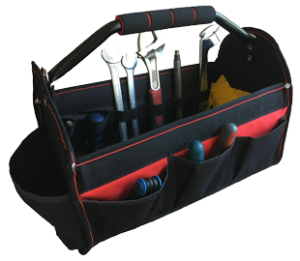 A 17" tool holdall which allows easy access to service tools. Adjustable shoulder strap, metal handle with soft grip for comfort. Internal and external pockets. 600D Polyester fabric. Please note tools are not included. These can be purchased individually or as a kit by clicking here.